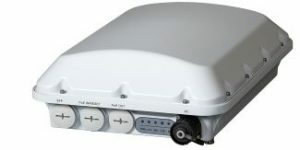 The LILEE Systems TransAir LMS-2450 serves the requirements of the transportation, intelligent systems, and IoT markets as a seamless mobile connectivity gateway for multiple types of mobile assets. The LMS-2450 brings modular, expandable, high-performance functionality to bus and truck fleets, and other transportation markets. 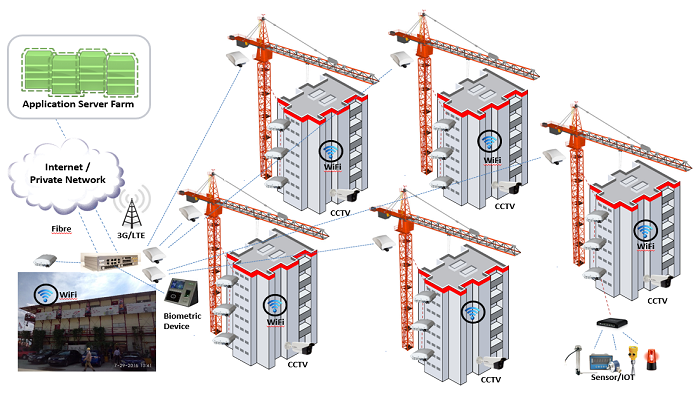 Using LILEE all in one LTE/IOT gateway, 3G/LTE signal received at site office can be aggregated and extended to provide high bandwidth internet to the construction site. Ruckus WiFi infrastructure will be deployed to provide the WiFi access for the devices and IOT required internet connectivity. Laptop or smart devices(including smart phone or tablet) can then be used for real time uploading or downloading data files for running construction related software such as CTMS, construction drawings, workforce flow and asset management. Nx witness VMS will be installed at LILEE to provide CCTV recording and video management from HIKVISION Network Camera. Other devices, including Biometric device, sensors or other IOT devices may also be connected and sending secured image and data back to control centre. Fibre broadband can be integrated to the network once ready. We provide IP connectivity for construction site which is otherwise barely covered by 3G/LTE or out of bound for internet broadband. T-Cloud is a cloud-based portal that provides zero-touch network management, autoprovisioning, and the ability for third-party enterprise software providers to integrate with LILEE’s TransAir gateways. T-Cloud enables customers and systems integrators to securely deploy software packages with corresponding network and sensor configuration to the field for specific applications, such as law enforcement, and enables customers to create their own bundles to meet their discrete needs. Nx Witness – with Cloud, Desktop, Mobile, Web, and Embedded applications – makes it simple to create custom IP video applications for any customer in any vertical market. Nx Witness users can connect to any available server – locally or remotely – to view and manage their Nx Witness system. System Administrators can connect to the Nx Witness system – either remotely or locally -and upgrade their entire system with the click of a button – saving money and increasing the ability to adopt the latest technology as it is released. In the instance of a server hardware failure Nx Witness automatically migrates cameras from the failed server to an available failover server – making sure system cameras are always online and always recording. CTMS is a mobile construction project management solution that also serves as a communication and coordination tool for various groups involved on a construction project.